National Distracted Driving Awareness Month (April). Click link for more information. The National Distracted Driving Awareness Month kicks off this April and the National Highway Traffic Safety Administration has identified texting and cell phone usage as the most visible distraction as an associated factor in collisions. The Alhambra Police Department’s Traffic Bureau will be participating and supporting this campaign by conducting several operations during the month of April, focusing our enforcement efforts on drivers using hand held cell phones and texting while driving. I am seeking the assistance of Field Services Officers to assist the Traffic Bureau in this campaign. This assistance can come in several forms. First and foremost, you can assist us by also focusing your enforcement efforts on drivers using hand held cell phones and texting while driving during the month of April. Secondly, a statewide two-day enforcement blitz is set for April 5th and 13th where the Traffic Bureau will be saturating the city in an effort to identify and cite distracted driving violations. 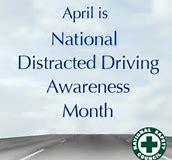 On April 5th, and 13th, the Traffic Bureau will be conducting Distracted Driving Operations. Officers on duty and available to participate, with the approval of their supervisors, are more than welcome to assist with this campaign. It is the goal of the Traffic Bureau, with the assistance of Field Services Officers, to reduce the number of traffic collisions in the city of Alhambra caused by DISTRACTED DRIVERS.